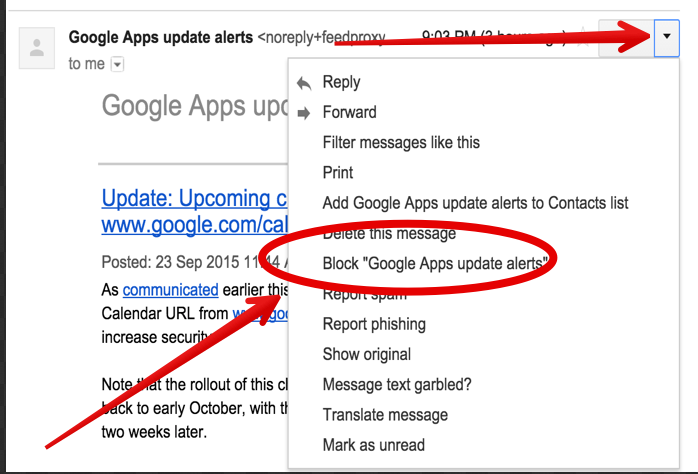 Google has recently released a new feature in Gmail for the web and Android which allows you to easily block disruptive emails addresses. 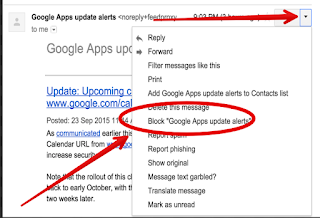 The traditional way of avoiding unwanted mail in your Gmail inbox was through reporting it to Gmail which then blocks similar messages in the future and sends them to Spam. With this new Block feature, a single click right from within the message window enables you to put the mail sender in the block list. Their future mail will be sent directly to Spam. You can at anytime unblock them in the Setting. To block an email address, click on the drop-down menu button from within the message pane and select 'Block' as shown below. Unsubscribe is another new Gmail feature released today but works only on Android. Unsubscribe allows you to opt out of eligible mailing lists and newsletters directly from the Gmail app.